Treasure trove can attract significant rewards but if it is not undertaken in the right way fortunes can also be lost. Put simply, we are very experienced in this highly specialist field. As a stakeholder, whether a coastal state or governmental claimant, a specialist or investor locating treasure trove or a deep sea search and recovery vessel operator, you will require a degree of legal expertise that is outside the realm of most shipping lawyers. You will also demand exceptionally high levels of discretion and thoroughness from your advisors. You will be comforted to know that we have advised stakeholders in relation to some of the largest treasure trove discoveries in history. Every case throws up its own unique mix of private and international law, the application of Conventions, territorial and ownership issues, war grave questions, salvage law and procedure, amongst other things. Invariably this calls for careful planning and patience. You may simply want to know, for example, whether any item washed ashore from a ship, whether wrecked or not, constitutes ‘wreck’ under the law. In every case you will want to understand how title is established. In England and Wales, such finds are regulated in part by the Treasure Act 1996. 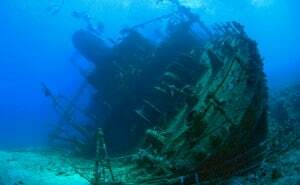 Failure to report items of wreck found is a criminal offence and the retention of goods ‘unofficially salvaged’ could lead to a prosecution for theft. Our practice covers the UK, of course, but it is our international experience and coverage that sets us apart.